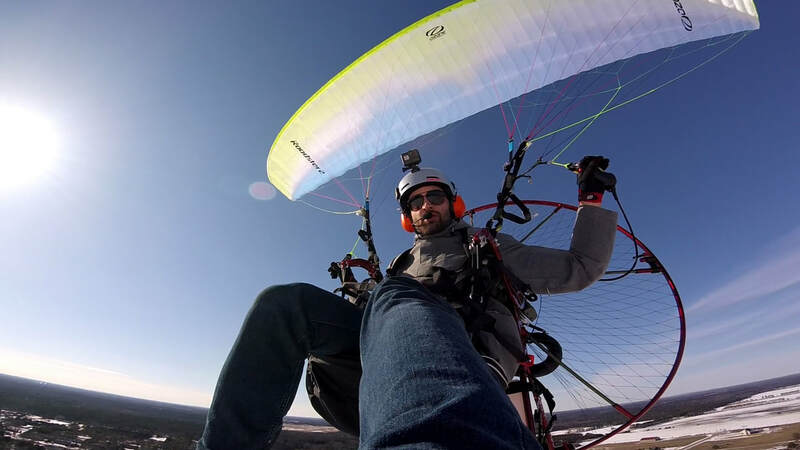 Photo by Madcity Paragliding graduate Jake during his first flight after graduation. The motor does most of the work. If you’ll be foot launching, you must be able to walk around and handle the motor’s weight but certainly don’t need to be an athlete. The wing carries the motor’s weight. Ages range from 13 years old into the 70's and beyond​. 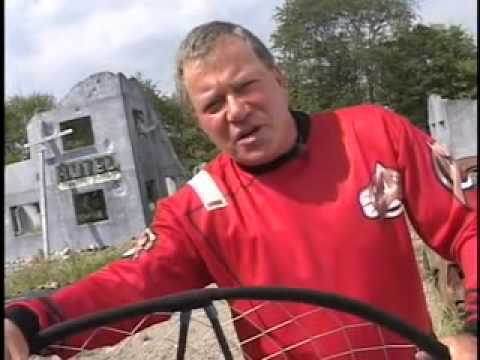 ​Willilam Shatner learned to fly PPG in his 70's! No license is required although training is incredibly important. 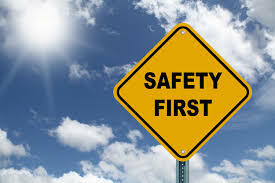 PPG’s are minimally regulated under the Federal Aviation Administration’s Part 103. Essentially we can fly during daytime in wide-open areas. We must avoid flying over people, near big airports and a few other locales. Private open fields, some smaller airports, and a few parks are great places to fly. One beauty of the sport is that we don't need an airport! Most state and national parks are off-limits to us but do allow overflight. There are many groups of pilots who have established local flying sites where you can launch. Courtesy of neighbors is important so as to minimize complaints. 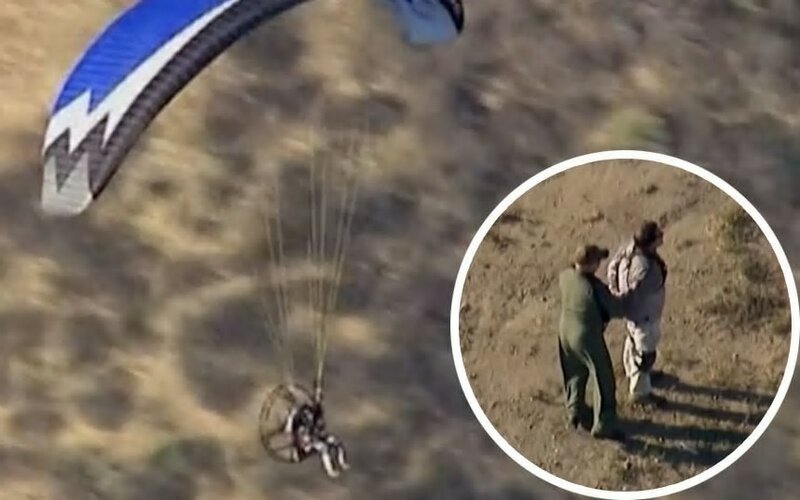 Any form of Aviation obviously caries some risk but Powered Paragliding is one of aviation's safest and most rewarding forms of flight. Some studies have placed the risk slightly higher than driving a car and less than riding a motorcycle, and the risk can be significantly reduced with proper training and good decision making skills. Speed: 20-35 mph although most fly about 25 mph. Weight: A lightweight machine weighs about 50 lbs ready to launch including fuel. The wing weighs about 15 pounds but the pilot doesn't feel it. A cart for wheel launching will add about 50 pounds and then you don't need to lift anything. Gear Cost (New): $4500-$12,000 Motor, $2000-$4500 Wing, $1000-2500 cart (optional). The worst place to skimp on is training. Your life (and wallet) depends on quality instruction! Payload: 170 - 400 Lbs. Powerful tandem units provide the highest payload. Fuel: 1 to 5 US Gallons of auto fuel or avgas mixed with 2-stroke oil. A few motors (4-stroke) require no mixing. Transport & Storage: Small Car or shipped affordably in boxes and stored in a room corner. Most carts fold or collapse for transport in a pickup bed. Motor: 12-25 hp 2-Stroke, 12-15 hp 4-stroke, 8-12 hp electric. Propeller: 30 to 51 inch wood or composite with from 2 to 4 blades. Most props are spun through reduction drives. Launch/Land Area: 200 x 400’ minimum with a another 400' clear climbout zone. Experienced pilots can safely fly out of a space half that size. Training Time: 3 to 5 days of training for first flight and 7 to 10 days of training to become independent. Training Schedule: We teach seven days a week at Madcity Paragliding. We have no set class schedule and instead let your availability and the weather dictate our plan of action. Nice days we work on wing handling and flying skills. When it's raining or blowing over 12 mph we go inside for ground school and simulator training. What's included in training: We offer unlimited lessons so you don't feel pressured or rushed into doing something you aren't ready for. You won't be pressured but you also won't be held back. This is supposed to be FUN after all and it shouldn't feel like work. The training fee includes the use of our gear while in class, you are not required to purchase gear prior to training. When you are ready we will help you select appropriate gear. Many students will purchase a wing early in the training process so they can practice at home and they have found that it can be beneficial to learn with the gear they will be flying with regularly. We also offer generous discounts on new gear to our students.